Providing a broad range of services, including medical gas piping, and an unusual level of expertise to our customers, Tuckey Mechanical Services, Inc. features Residential, Commercial, and Industrial Departments and has grown from a small residential service company to an industry leader. Founded in 1981 (with origins dating to 1968), our diverse customer base ranges from homeowners and small businesses, to churches, schools, universities and large industrial complexes. 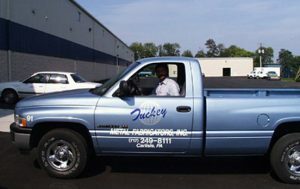 Tuckey Mechanical Services continues to provide the professional, yet intimate working relationship that has grown our Central Pennsylvania customer base over the years, while employing the latest innovations in the industry to deliver the highest quality service. Our company’s professionals are highly trained in a wide variety of services for homes and business, including plumbing and HVAC. 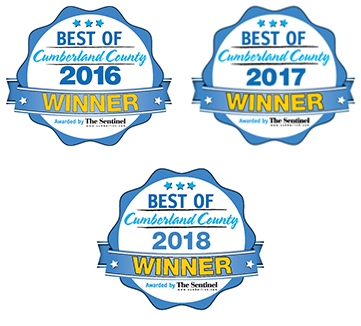 We not only service the Carlisle and Harrisburg region; we also provide plumbing and HVAC in York, PA and Chambersburg, PA too! Using emergency service dispatching, the company’s trained technicians are equipped and ready to assist customers with heating, air conditioning, plumbing, electrical and ventilation needs 24 hours a day, 365 days a year. Tuckey Mechanical Services offers an abundance of technical resources, allowing an efficient response to the residential, industrial, commercial, and institutional needs of the community. In addition, the company provides Preventive Maintenance Programs to homeowners and businesses, assuring them preferential attention during crisis situations, as well as the benefits of cost management when maintenance or service is needed. Today, Tuckey Mechanical Services, Inc. continues to enjoy a reputation for quality, both in its highly-skilled workforce and its renowned experience in system design, installation, and operational efficiency. Heating, ventilation, and air conditioning (HVAC) developed by Tuckey Mechanical Services provide customer-specific designs and have met the needs of homes and businesses for many years. 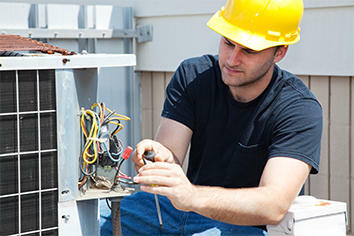 By working with the best suppliers in the industry and a highly experienced team of technicians, Tuckey Mechanical’s specialists for HVAC in Harrisburg, Carlisle, Chambersburg, York, PA and anywhere in between promise a unique design process and implementation that ensures your needs are fully met. Projects completed by Tuckey Mechanical Services can be found from the capital in Harrisburg, to the small towns of Central Pennsylvania in both the Residential and Commercial markets. Among other awards, Tuckey Mechanical Services received the Medal of Excellence for Mechanical Projects over $250,000.00 from the Association of Builders and Contractors for the Dickinson College Waidner Library Building. "I've dealt with Tammy G many times over the years, and she has always been so pleasant and helpful. At work, I've also dealt with Mike L, who is a stand-up guy. Whether they serve us at work or at home, we have nothing but good things to say about Tuckey."